At Raub. 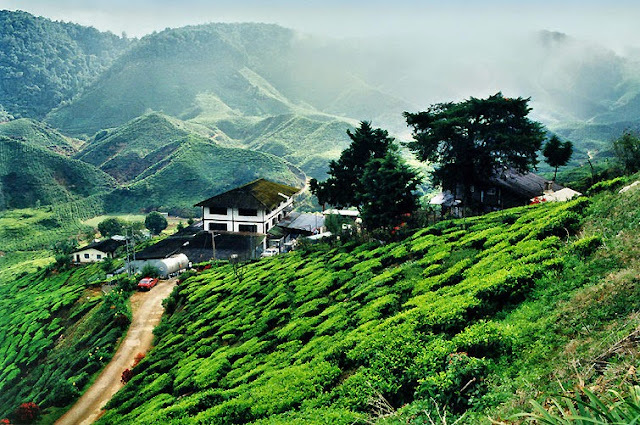 Fraser’s Hill 104 km from Kuala Lumpur can be reached through the Karak Highway. Turn left at the Bentong junction and proceed to Teranum. At Teranum, take the left turn towards Gap before the short ascent up to Fraser’s Hill. Alternatively, one can also take the old trunk route heading towards Penang and turn off at Kuala Kubu Bharu for the drive to the Gap. 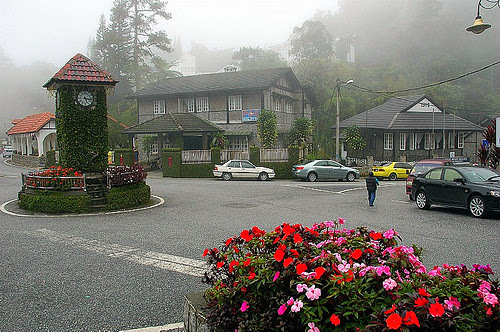 The last 8 km from the Gap to the top of Fraser’s hill is along scenic, narrow winding road which carries one-way traffic from 7.00 am to 7.00 pm. At the Gap, there is a gate control system with scheduled times for ascending and descending traffic, at both ends to facilitate the flow of traffic. 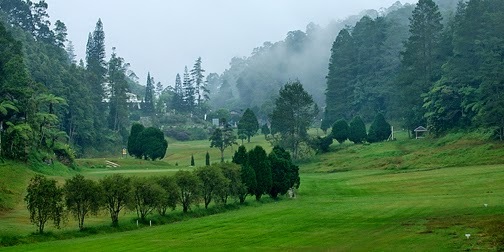 Fraser’s Hill offers visitors cool mountain air, an abundance of luxuriant vegetation, peace and tranquility as well as other attractions such as pony rides, a nursery containing many exotic flowers, the Jeriau waterfalls and a pleasant 9-hole golf course. Other facilities include a children’s playground and a roller skating rink. 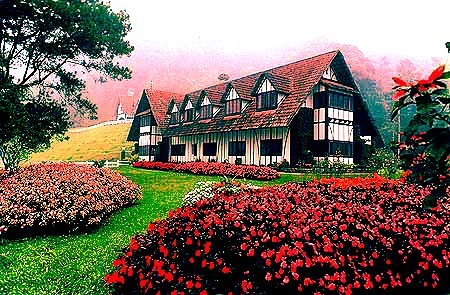 For accommodation, Fraser’s Hill has a range of hotels, chalets and colonial-bungalows to suit ones’s preferences and budget. Hotels here are: Fraser’s Pine Resort, Quest Resort, Fraser’s Hill Development Corporation, Ye Olde Smokehouse, Silver Park Holiday Resort. At Kuala Tahan. Taman Negara, or the National Park, boasts of jungles that date back millions of year, making them older than those of the Congo or Amazon. 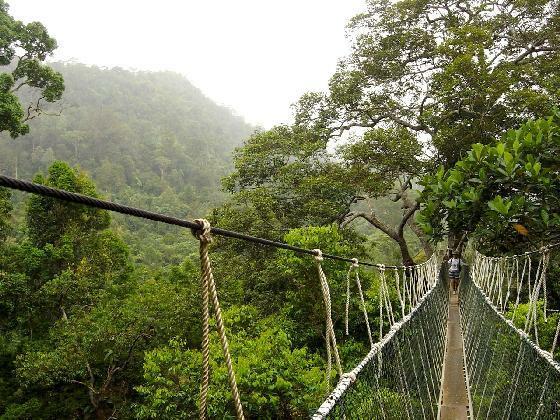 With 4,343 sq km of luxuriant tropical rain forest, the park is a heaven for adventurers. 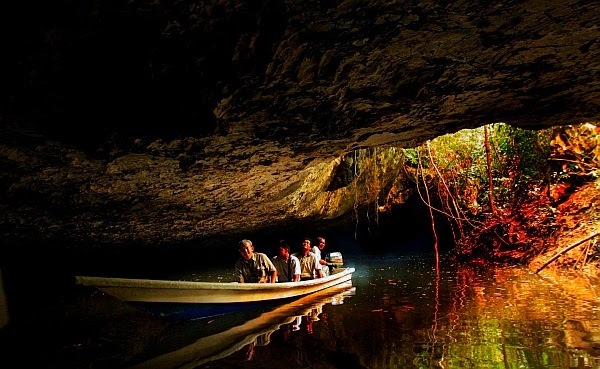 Picturesque trails, giant trees, limestone caves, excellent fishing spots, exciting river trips and ample jungle trekking trails offer a multitude of such adventure opportunities. The park’s canopy walk which is 25 metres high and over 400 metres long is the world’s longest. As it lies on the top layer of vegetation in a forest, you will have an extraordinary view of the plant and animal species found there. Wildlife observation can be done from observation hides built around the many salt-licks. Mountain climbing buffs would enjoy scalling Gunung Tahan, which at 2,187 metres is the highest mountain in Peninsular Malaysia. River trips are an enjoyable activity within the park, especially those involving shooting the rapids. For the less stalwart, there are meandering cruises that let you enjoy the surrounding scenery at a leisurely pace. Fishing is best done in February, march, July and August, and it takes two days to reach the best fishing areas located along Sungai Tahan near Lata Berkoh and Sungai Kenyam. Camping grounds in verdant surroundings are to be found in the park. Accommodation at the park is available in the Rest House, chalets and a hostel, all fitted with basic utilities. Hotels here are: Taman Negara Resort, Nusa Camp Holiday Village Sdn. Bhd, Teresek View Village, Ekoton Chalet. At Lipis. 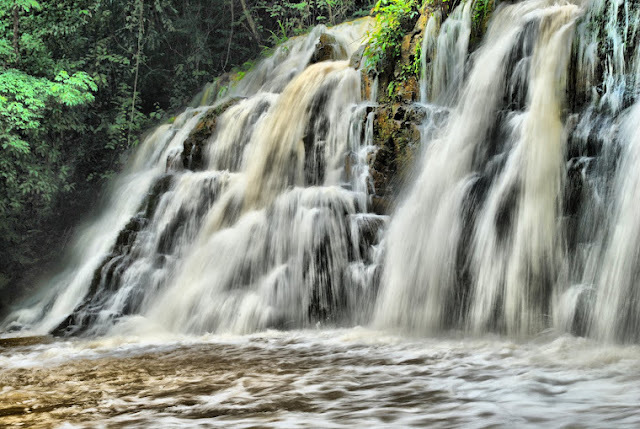 Kenong Rimba Park is situated in natural surroundings with cascading waterfalls, clear mountain stream and a variety of flora and fauna. The merry chirping of birds will create an atnosphere which is really difficult to express in words. 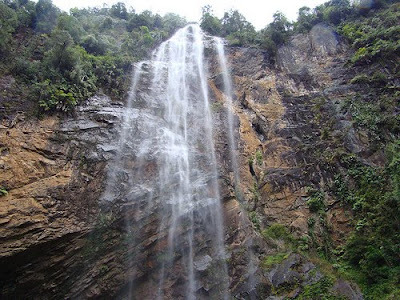 It offers great adventure, such as exploring limestone caves, swimming in the river and camping. Challenging hiking trails interspersed with protruding rocks and untouched natural surroundings is a haven for adventure lovers. 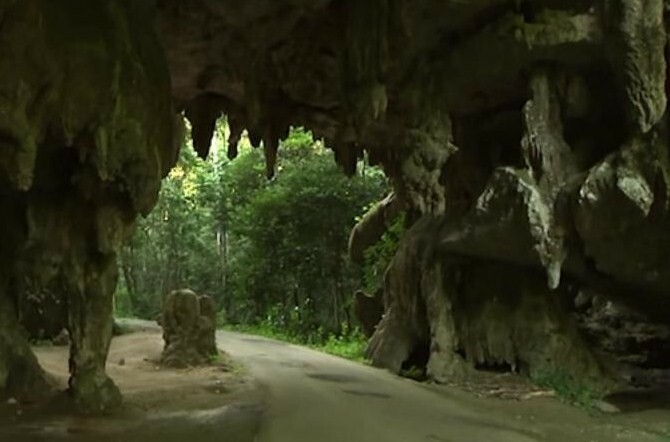 Within the Kenong Rimba Park, these are several caves (gua) to explore. These are Gua Batu Telungkup, Gua Hijau and Gua Harimau. The caves, situated approximately 122-152 metres above sea level, are a natural habitat for a range of flora and nature’s other marvels. 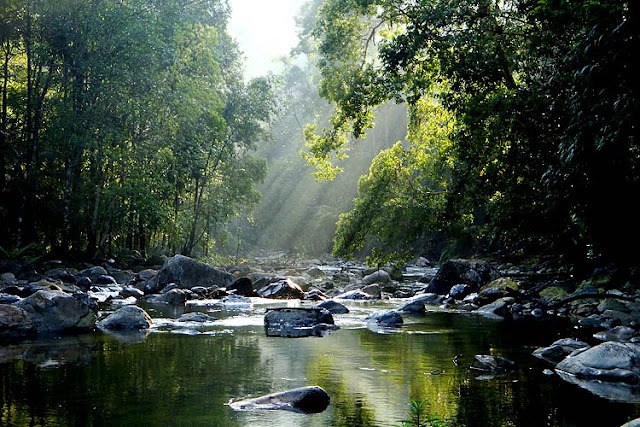 For nature lovers, a stop at Kenong Rimba Park is a must. It is a perfect hideout for bird watchers, campers, anglers, trekkers and swimmers. 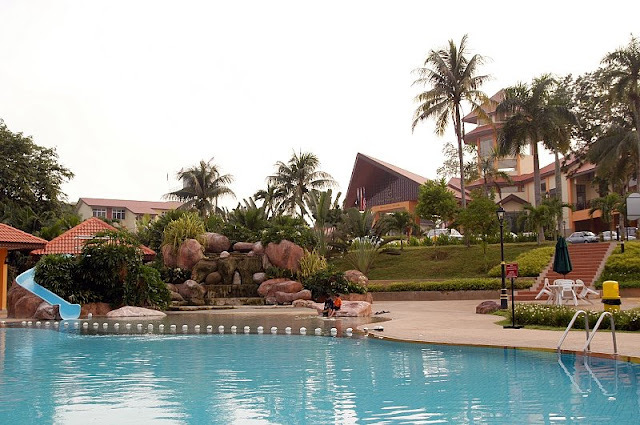 Hotels here are: Persona Rimba Resort,Lipis Centre Point Hotel, Lipis Inn Hotel. At Bera. 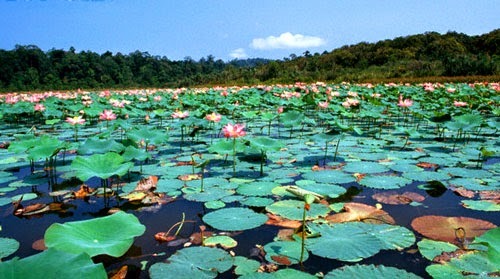 Tasik Bera, covering an area of 24,000 hectares is one of two major natural bodies of freshwater in Malaysia. The Semelai aborigines inhabit the area surrounding Tasik Bera and a number of them continue to live and procure their food in traditional ways. Others have modified their way of life and have become permanent residents in Post Iskandar. The Tasik Bera watershed includes a wide variety of flora ranging from primitive algae species to higher plants and tress. It was recorded that 328 species of flora, 200 species of birds and more than 95 species of fishes are found in Tasik Bera. 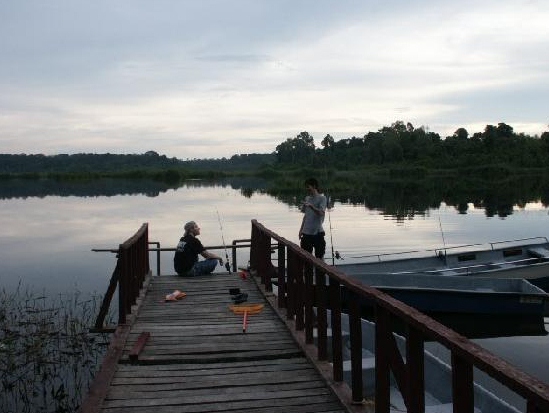 Tasik Bera is ideal for many recreational and adventure activities. Trekking through the jungle is both exciting and educational. River safaris can be exhilarating, or simply paddle around the lake and take in the tranquil surroundings. Hotels here are: Persona Lake Resort. At Kuantan. Located in the wilds, Lake Chini is approximately 100 km from Kuantan, consists of a string of more than 12 connected lakes. Here, you can enjoy activities such as fishing, camping, jungle trekking, speed-boating, and visiting Kamoung Gumum, an Orang Asli village. The lake, with its fascinating myths, has attracted tourists from far and near. Legend has it that an ancient Khmer city once existed there and this has since resulted in several scientific expeditions being mounted by both local and foreign archaeologists. It is also popularly believed that a mythical monster lurks in its depths and guards the lake. Lake Chini has a number of wooden chalets and restaurants to cater for overnight visitors. There are also a number of camping spots if you plan to rough it out. Jungle gear and camping equipment are recommended. Acces to the lake is by road to Kampung Belimbing, about 100 km south west of Kuantan and then on by boat through the winding Chini river. Alternatively, one can go by road via Segamat Highway through the new town of Chini, and then continue travelling for 15 minutes through palm oil estates roads to the lake. Hotels here are Lake Chini Resort. In Kuala Lipis, there is a recreational lake called Empang Jaleh where visitors can relax. Here too, one can trek along a mountainous jungle trail to Gunung Tahan, the highest peak in Peninsular Malaysia. It takes about two nights to reach the summit. For birdwatchers, Bukit Taching is an ideal bird sanctuary to while away the hours. And the Terenggun Forest Park is anothernature spot perfect for a leisurely holiday. Perhaps its most endearing feature is its profusion of fabulous nature scenes. At Kuantan. 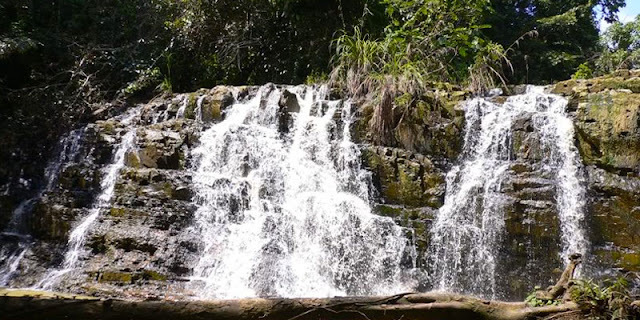 About 16 km away from Sungai Lembing is Gunung Tapis (Tapis Mountain), a beautiful nature park. Excellent camping spots can be found in a number of areas. Although still in the early stages of development, Gunung Tapis offers a number of activities. You can shoot rapids on one of the several rivers, or fish for the delectable ‘Ikan Kelah’ (tortambroides duronesis). The park also abounds with hot springs and wildlife. If you plan to stay overnight, camping and survival equipment are recommended. Prior arrangements for a visit to the park can be made with the Persona Adventure Camp. Hotels here are: Persona Adventure Camp. At Rompin. Some of the most famous and visually spectacular tourist attractions are found in Pahang. Among them is the Endau-Rompin State Park, one of the world’s oldest tropical rainforests. 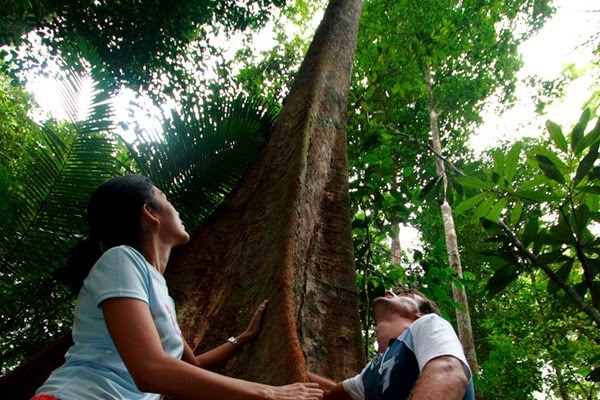 This ancient tropical rainforest has remained undisturbed in its original state through the years. Endau-Rompin boasts of some of the most exotic species of tropical plant and animal life. Kota Gelanggi potentially the first capital of the ancient Empire of Srivijaya. It is one of the oldest Kingdoms on South East Asia’s Malay Peninsula. The city was raided in 1025 by South Indian Chola Dynasty conqueror Rajendra Chola 1. The meaning of Kota in Tamil is ‘Nagaram’ which stands for City. Kota Gelanggi was mainly a trading post and a centre of sacred learning. The Srivijaya maritime and commercial kingdom flourished between the 7th and the 13th centuries in the Malay Archipelago,” says local researcher Raimy Che-Ross. He added with that museum had earlier sent teams to locate the site but had failed each time. Now the lost city is a forest reserve. And no one can enter without the permission of the authorities. Though museum authorities, on the other hand, have indicated interest in studying Kota Gelanggi but nothing much has transpired since then. Lack of funds, inaccessibility, and the possibility of different locations – have been cited till date to undertake a serious study. The Kota Gelanggi Caves of Jerantut and The Kota Kelanggi is different. But, do they have connections? The discovery of an ancient bronze vessel near a river which closes to Mentakab may have linked with Johor’s Kota Gelanggi. Located in Temerloh. 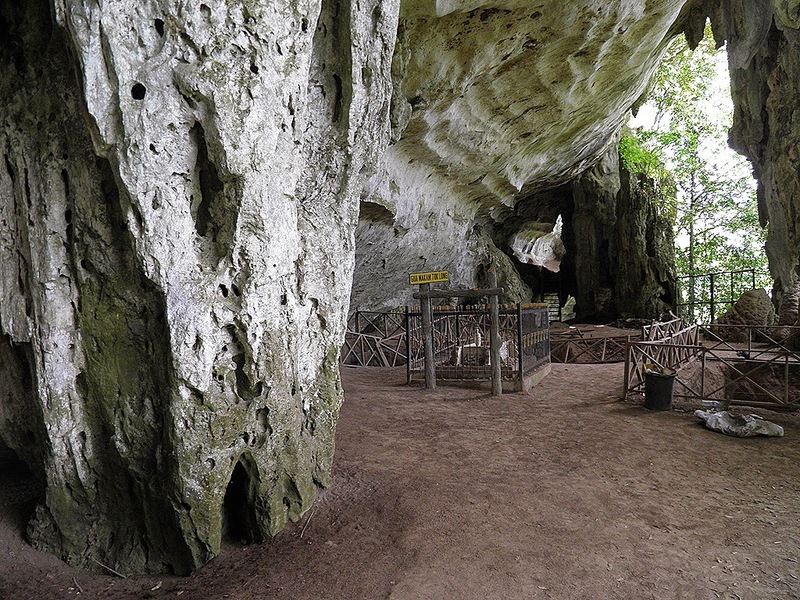 The Gunung Senyum Caves consists of at least 20 caves, which are fascinating to explore. While cave exploration and camping in the shade of tropical foliage are common activities, scientific research is also gaining in popularity among students and scientists. Cave explorers must be prepared for the smell of bats, limestone rocks and the sighting of strange creatures and insects. 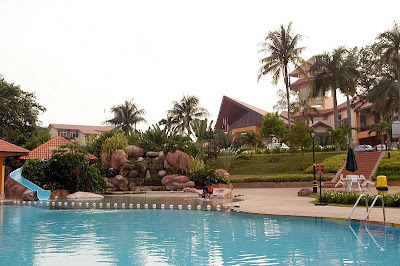 Hotels here are: Tekam Plantation Resort, Seri Malaysia Hotel Temerloh. Located in Raub. 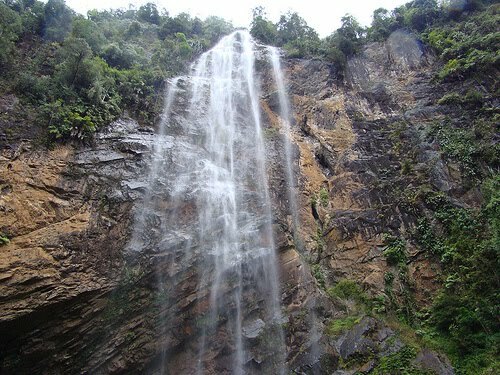 Apart from Fraser’s Hill, other recreational areas in Pahang include the Lata Jarum Waterfalls and the Jeram Besu Rapid. The former is just 30 km from Raub while the latter is only about 3 hours drive from Kuala Lumpur. 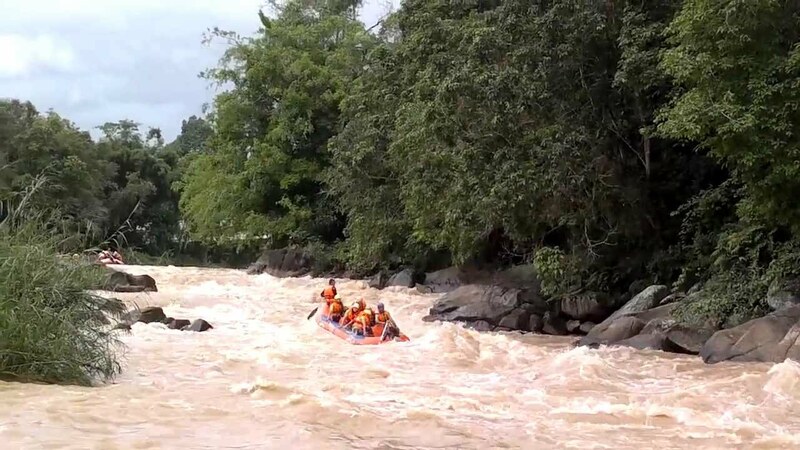 Jeram Besu is fast gaining popularity as one of the most challenging white water-rafting areas in the country. Raub is one of the oldest towns in the State of Pahang. It began as a gold mining town in the early 19th century. Remains scattered around the town. Hotels here: Countryview Recreation Park.